It feels like we’ve been hearing about Neil Cross’ (Luther) apocalyptic cop show Hard Sun for ages, and now we finally have a brutal, bloody first look. If you thought the world coming to an end sucked, just imagine having to live through it as one of the few people who knew it was going to happen. A joint venture between Hulu and the BBC, Hard Sun is a six-part miniseries set five years before the end of the world—the title being the codename the British Government has given to the top secret information confirming that the world is doomed, and nothing can be done to stop it. 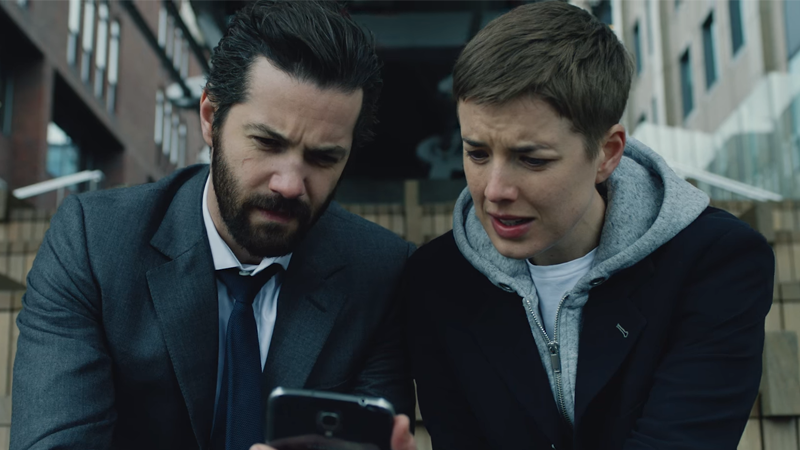 But when two cops (Jim Sturgess and Agyness Deyn) investigating the death of a hacker uncover details about the impending apocalypse, they find themselves on the run and trying to make sense of a world where time is running out for everyone. It’s a bit like Ben Winters’ novel, The Last Policeman, but the premise here seems more tailored to just who knows about the world’s end, and keeping that information under wraps as much as possible, rather than it being an open secret. But either way, it looks like everyone on the show is in for a pretty miserable time, apocalypse or otherwise. Hard Sun is currently available on the BBC iPlayer in the UK, but will stream exclusively on Hulu in the US from March 7.